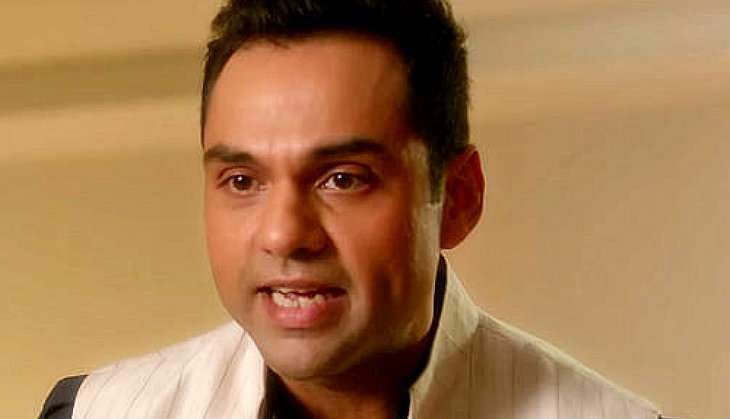 After playing a dark character in Dev D, a funny guy in Zindagi Na Milegi Dobara, and a serious role in Raanjhanaa, Abhay Deol plays the role of a gentleman in his next film, Happy Bhaag Jayegi. The actor speaks about his hiatus and what he hopes to achieve now. Happy Bhaag Jayegi releases two-and-half years after your last film, One By Two, and three years after your last hit, Raanjhanaa. Would you call this your comeback? Yeah. It feels good to be back. I don't call it a comeback but I can understand why people would. I did miss working (laughs) but I feel very lucky I had the privilege to be able to take that time off. Weren't you worried that this break would affect your career? Of course, it does have an impact on your career but luckily, I have never been a competitive person so it gives me the freedom to take time out. I am not even trying to play the star game. My effort is to make cinema which is already difficult considering it's not very formula driven. I am looking forward to still having the opportunity to do so. Share something about your role in Happy Bhaag Jayegi. My character Bilal is urban -- born in Lahore, Pakistan, and has studied abroad. His father wants him to become a politician but he wants to be a cricketer. He is a soft-spoken, quiet, submissive guy who is dominated by his father. He is quiet, funny, a refined gentleman -- all the things you want in a man. Since you are playing a guy from Lahore, the film must involve a lot of Pakistani reference. How did you prepare for the role? In the film, most of the sequence of events occur in Pakistan. One thing I would like to say is that there is nothing alien about Pakistani culture. The difference is just between Urdu and Hindi. On a basic level, an Urdu-speaking person can interact with a Hindi-speaking person. Luckily, I studied Urdu as a child. So I know which words come from the back of the throat. It made the process easier as I speak Urdu throughout the film. I also had great guidance from Mudassar (Aziz, the director) who is amazing. Why did you choose Happy Bhaag Jayegi? I wanted to start again with an entertaining film -- something which everybody can watch together happily and so Happy Bhaag Jayegi was perfect for that. Maybe the next film will be dramatic. Which type of roles are you keen on doing next? I don't think I have ever done any intense dramatic character so I think I want a nice drama. I love dark comedies ... we make very few of those; it's not a genre that has been explored much. I want to deviate from what I have just done. As an artist you tend to be greedy. But finally it's a collaborative effort -- I am not a painter who can buy all the equipment and create on my own. I have to collaborate with people and I need to be in the company of like-minded people. Is there anything in your kitty after Happy ...? No yaar! There's one script that I love -- every actor would love to do it -- but the producer has to make the announcement. I am hoping they announce it after the release of Happy Bhaag Jayegi.